Bren-Tronics has been involved in Soldier Modernization programs for about 10 years. Despite tremendous innovation and technology improvement, energy sources remain a major critical item for modern war fighters. The first Bren-Tronics involvement was for the German IDZ Bazic system in 2004. The power sub-system was designed with two centralized rechargeable lithium-ion battery packs. They offered a specific energy of 131 Wh/Kg (72Wh for 550g each). Today’s IDZ Enhanced system is still powered by a fully interchangeable battery pack but lighter, shorter and offering the same capacity with a specific energy of 190Wh/Kg (72Wh for 380g each). Improvements are on the way with targeted specific energy of 225Wh/Kg for a fully ruggedized Soldier Military Pack (SMP) by 2020. It would represent another 20% more capacity for the Soldier System. The system integrators are also reducing the power consumption of the system (approx. 12w). So 24 hours running time is covered by using only 4 standard SMP batteries, representing 1.5kg. The next gain of capacity is not representing a huge improvement for the overall burden of the soldier. However, it represents a new parameter to play with for the safety and performance of a battery pack. Safety is controlled by the internal battery management system monitoring and balancing each cell in charge and discharge mode to prevent any internal electrical abusing. However, an outside element penetration such as a bullet into a pack generates an internal short-circuit that can lead to fumes or fire. Bren-Tronics determined that by charging a very high capacity battery pack at 80%, the risk is almost reduced to null. So using such a pack charged at 80% would give the same overall running time, but improve the safety of the system. The second aspect is maintenance and long term storage. Since 2010, Bren-Tronics recommends to store the rechargeable lithium-ion battery packs fully charged for long term storage and easy maintenance. Batteries have to be serviced only once a year for a top up charge, simplifying the logistics time and organization. When entered into long term storage, a very high capacity battery pack could be charged at 100% offering even longer storage duration than the standard 12 months. In association with a permanent state of capacity indicator and electronic sleep-mode, the battery shelf life is no longer an issue. 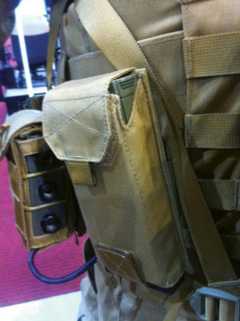 The third main advantage is the charging time of the pack. As per the state-of-the-art lithium-ion charging profile (Constant Current – Constant Voltage), a pack is properly recharged in about 3 hours with the appropriate input power. However, 80% of the battery capacity is reached in the first 90 minutes. So, the SMP Batteries could be fast charged to cover the full mission duration. And if required, the battery can also be fully charged for more running time. Bren-Tronics engineering effort is to provide innovative ways to manage operational military power requirements. 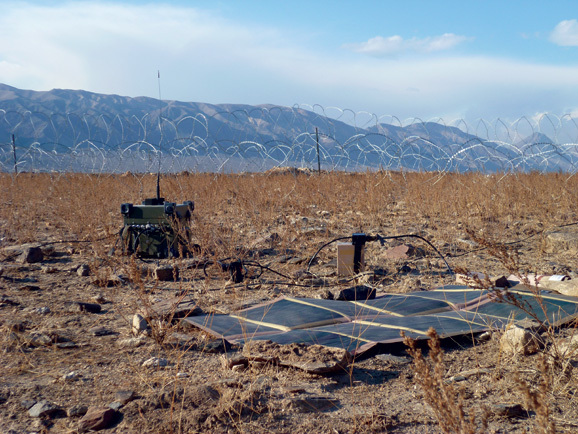 By combining any power sources such as solar, AC, DC or fuel cells, with a fast and large energy storage capacity, Bren-Tronics offers a fully integrated hybrid military portable power system to respond to any power demand. With an average of 50,000 annually manufactured military rechargeable battery packs, Bren-Tronics remains in a worldwide leading position to power the warfighter. Over the years, the SMP battery imposed itself as a standard solution through major international programs.